We live in a world where we can see the truly best of the best night in and night out. International organizations have made it possible to take the games that we love, and turn them into international spectacles, where athletes can represent something larger than themselves…their country. The International Ski Federation, since 1931, has put on the world’s premier downhill skiing championship. Though hosted mostly in Europe, the competition is attended by skiers from all over the world and is similar to many of the other contests that alternate every two years with the winter Olympics. For those people that think this is just another basketball tournament that the United States dominates, you need to think again. This is not the Olympics. The United States won the 2010 FIBA title, but before that, the tournament saw a great deal of parity. Most countries put out their best lineups, while the United States takes a backseat. This is no longer the case. Look for this tournament to gain more attention as the United States begins to invest more time and energy into playing this worldwide competition. As basketball grows around the world, competition will continue to increase, and the level of play will become that much better. International baseball competitions have never been a significant part of the game. The Olympics, where all other international sports are settled, has lacked star power. In 2005, this changed with the introduction of the World Baseball Classic. This three-week tournament included some of the best baseball teams from North America, Latin America and Asia. Japan has won both tournaments thus far and, as time goes on, the tournament will continue to grow. Though some look at the Olympics as the only swimming event worth watching, the World Championships provide the backdrop for the creation of rivalries and world records. Michael Phelps has been equally as successful in both the World Championships and the Olympics during his reign at the top of the swimming world. Featured above is the 100-meter butterfly, in which Michael Phelps defeated American Ian Crocker in the last 10 meters. I think I am almost ready for this. Few people realize that this is both an international competition, and the envy of any guy that has ever played Little League baseball. The Little League World Series, held in Williamsport, Pennsylvania, is the oldest Little League championship, and pits the winners of the United States and World brackets. The tournament has evolved over time and has become a cornerstone of late-summer ESPN programming. This French race has been held since 1923 and features a test of endurance that cannot be matched…driving for 24 straight hours. Granted it is a team of drivers, but this unique competition tests the manufacturers' abilities to make cars that are both fast and durable. Unlike the uniformity of other races, the cars are different, and the style of racing is like nothing you have ever seen. The track is not nearly as difficult as some of the other major Grand Prix races, but the 24-hour length, and the history makes it one of the most interesting sporting events in the world. The race, established in 1970, features some of the best professional and amateur runners in the world. This is one of the most coveted races in the United States and draws some of the best in the business. Competitors from the United States, Africa, Europe and South America have won the title, and the course runs through all five of New York’s historic boroughs. Though not as popular in America, the Rugby World Cup has brought historically significant political events to the forefront. The Rugby World Cup became official in 1987, though it was played in an unofficial fashion for decades. This is not a sport that many relate with, but it is internationally liked and produces some of the toughest men in the world. If you have not seen it before, the New Zealand All Blacks Haka War Dance is the coolest pre-game ritual in sports. Imagine if the Celtics and Lakers stared at each other and were allowed to yell and intimidate one another. I cannot wait to see what KG comes up with. Like rugby, this sport does not get as much play in the United States, but it certainly has an international following. The Cricket World Cup has just taken place in 2011, resulting in a victory for India. The tournament, which takes place once every four years, continues to have a lot of political influences as highlighted through the match between India and Pakistan. Established in 1973, the Volvo Ocean Race is the world’s biggest yacht race and takes place every three years. 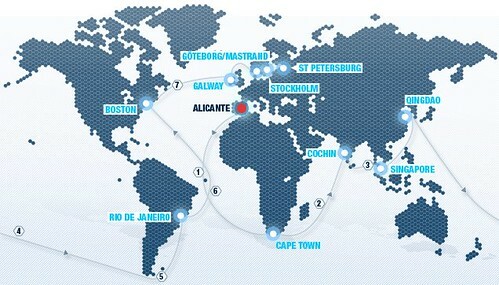 It’s a nine-month, 39,000 nautical-mile race that goes around the entire world. Along the journey, crew members experience sleep deprivation, hunger and extremely hot-and-cold temperatures, while facing dangerous terrains. The crews must trust their skippers in order to win the race, let alone get home alive. It is one of the most dangerous races out there, that tests both mental and physical endurance. Of course we need to put in the IAAF World Championships. This is where Usain Bolt has been lowering his own world records time and time again. While Bolt might be the most notable athlete at the competition, which takes place every two years, there were over 2,000 competitors there in Berlin, Germany in 2009.
Who would have thought that guys who skateboard and ride bikes would one day get a legitimate competition that allowed them to put on some of the most incredible shows of talent. Believe it or not, it is here to stay. Watching these athletes from all over the world come together to make death-defying jumps and tricks is great every time. The X-Games have evolved and I am glad to be along for the ride. In 1978, the island of Hawaii became the destination of the world’s most incredible athletes. The Ironman Triathlon, which features a 2.4-mile swim, a 112-mile bike ride and a marathon (26.2 miles) run, tests even the toughest men and women from all over the world, and pushes them to inhumane limits. The race starts at 7 a.m. and must be finished by midnight (12 a.m.) the next day. There is no way to ever know what you will be putting your body through, because it is nearly impossible. There are Ironman Triathlons that take place all over the world as qualifiers for the world championships in Hawaii, where the champion is crowned. 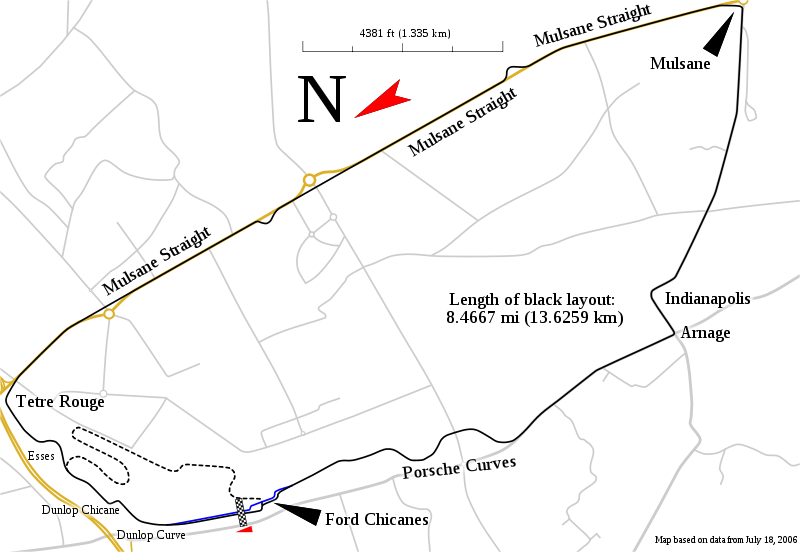 The Monaco Grand Prix, first held in 1929, is one of the most prestigious races in the world. Formula One drivers navigate through the narrow course carefully yet daringly, trying to avoid hitting the walls on this high speed, high-risk track. Rain or shine, this race goes on, and only the most skilled drivers in the world can handle this beast. Augusta National Golf Club hosts the most premier golf tournament in the world. The world's best ascend upon Augusta, Georgia in order to partake in one of the four major tournaments, and win the most prestigious article of clothing in sports. Casual golfers want to win a few tournaments and ride off into the sunset. The greatest in the world know that the Masters is where legends are born. Golf immortality can be reached once the green jacket is in a golfer’s possession. This historic golf tournament is traditionally played in England or Scotland, and at times presents players with the most difficult elements a golfer can encounter. It is an age-old course in which golfers who win become part of one of the hollowed traditions in all of sports. There is no disputing that the best footballers in the world pay in Europe. Founded in 1955, the UEFA Champions League title is arguably the most prestigious prize outside of the World Cup. Because of the high level of competition, there has been a great deal of parity, though Spanish and Italian teams have had the most success. The French Open takes place in Paris, France at the Stade Roland Garros. One of the four tennis majors, the French Open provides some of the most unique tennis there is. For some, playing on clay might as well be like playing on gravel; some players simply hate it. Others, like Rafael Nadal, feed off of the home-court advantage. It is considered the most physically demanding tennis tournament in the world and is also the most watched. I wonder if Nadal can get the clay stains out when he falls to the ground after winning. Take it from someone who has run with bulls before…it is not a smart idea. While I was doing it, I did not for a second think that it was a bad idea. In retrospect, running alongside angry bulls in a confined area was one of the coolest experiences in my life, but also one of the dumbest. I cannot knock tradition, though, and while a lot of people will agree that it does not make much sense, the Spaniards will continue with this “encierro” as long as people are willing to run. Certainly the classiest tennis tournament there is, The Championships at Wimbledon has taken place at the All England Club since 1877. This historic major takes place in late June, early July and has produced some of the greatest tennis matches ever played. While some resonate in our minds more clearly (Federer versus Nadal), you do not have to look back too far to find a match that kept you on the edge of your seat. The green grass courts and the concession stands that sell strawberries instead of hot dogs, make this a unique event that everyone should attend at least once in their lives. In 1903, a few good men had the idea to go on a little bike ride…around France. The 2,200-mile, three-week race pits the best cyclists from around the world in a test of endurance and teamwork. The course wraps around a majority of France, and ends in Paris. Americans know about the race through the accolades of Lance Armstrong, who won the race seven times. The Winter Olympics might take a backseat to the Summer Olympics from time to time, but it is still one of the best international sports competitions in the world. It produces the best hockey tournament known to man, curling, which is everyone’s favorite, and speed skating, which nobody gives due credit. What the winter Olympics gives up in flash, it makes up in speed. People become exposed to sports that they have never played nor seen before, making for an interesting watching experience. The World Cup comes in a close second place to the Summer Olympics. Soccer is the most popular sport in the world and this is its biggest stage. Whether a person’s country is in the Cup or not, they are captivated by the outpouring of national pride and the diversity of the games. It is played at its highest level, with all of its stars ascending on one location for the chance to win soccer’s biggest prize. Entire nations have gone as far to order a cease-fire during war to support their country’s soccer team. Incredible. The best international sporting event, hands down. Besides the incredible opening ceremonies that took place during the 2008 Beijing Olympics, the wide variety of events and star power alone makes it must-see TV. This past Olympics we had Michael Phelps, Usain Bolt, and the “Redeem Team” among others. It seems that each Olympics there are better and more skilled athletes setting record after record. There is so much raw emotion that takes place in each match, game and point that you cannot help but become invested in every single thing that happens.